Ian Rickson directs Tom Burke and Hayley Atwell in the West End premiere of Duncan Macmillan‘s startling new adaptation of Henrik Ibsen’s gripping and piercingly relevant work of personal and political passion Rosmersholm. ‘Ibsen’s masterpiece’ (Michael Billington, 2008) is a twisting thriller and stars two electrifying actors in the leading roles. Tom Burke ( Strike , The Musketeers ) is the soulful Rosmer haunted by history and tradition. Hayley Atwell ( Howards End , Captain America ) is Rebecca West, one of Ibsen’s greatest heroines. Enigmatic and unpredictable, free-spirited Rebecca brings the winds of change to Rosmersholm with the force of a hurricane. Rosmersholm is booking from 24 April 2019 until 20 July 2019 at the Duke of York’s Theatre, London. 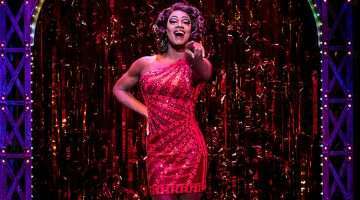 The cast features Tom Burke, Hayley Atwell, Lucy Briers, Jake Fairbrother, Giles Terera and Peter Wight. Henrik Ibsen’s Rosmersholm has been adapted by Duncan Macmillan ( People, Places and Things , 1984 , Every Brilliant Thing ). 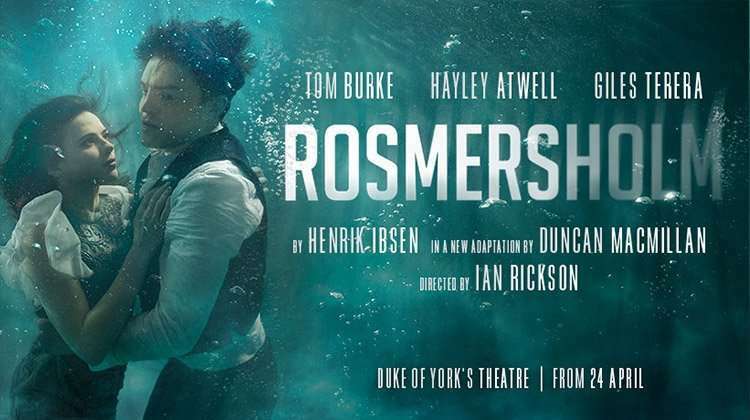 Buy Rosmersholm tickets at the Duke of York's Theatre by using the Search Box at the top of the page or by clicking the Buy Now button above. You will be purchasing tickets via our preferred ticketing partner Encore Tickets, who are a fully bonded and licensed ticketing company and members of STAR - the Society of Ticket Agents and Retailers. Encore offer real-time ticketing with confirmed seat locations at the time of booking so you know your seat numbers before you book your Rosmersholm tickets. Why book Rosmersholm tickets with us?